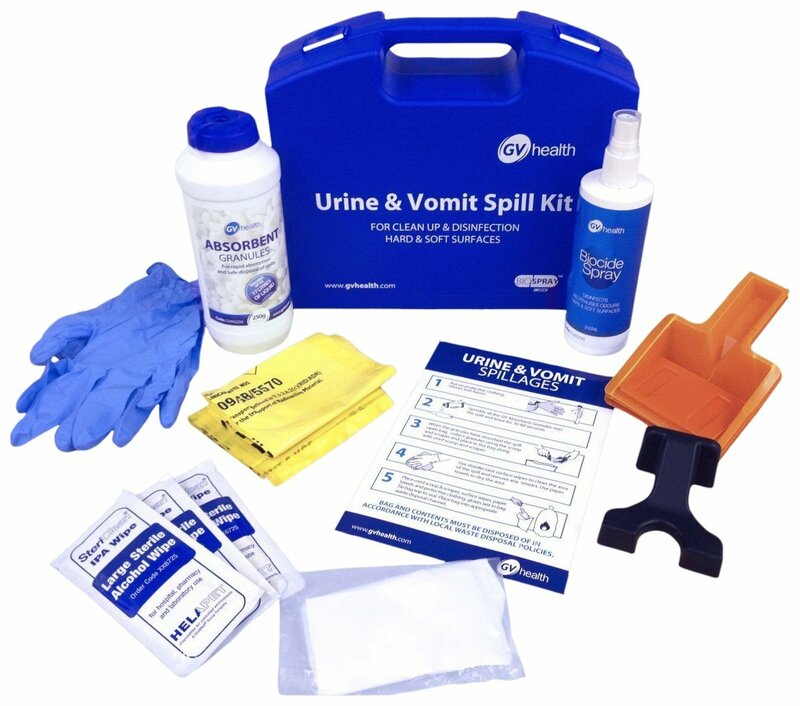 The Urine and Vomit Spill Kit is designed for the safe clean up and disinfection of 6 spillages of urine or vomit. The kit provides all required PPE and specialist products including GV Absorbent Granules and GV Biocide Spray to ensure best practice removal and disinfection of a spill. GV Health's Absorbent Granules are safe to use on acidic spills and have a high absorbency to mass ratio with 250g absorbing up to 17 litres of liquid. GV Absorbent Granules ensure easy collection and removal of a urine or vomit spill and contain Triclosan an organic anti-bacterial agent. GV Health's Biocide Spray further disinfects while also removing any residual odour where urine or vomit spills have occurred. The spray can be used on hard and soft surfaces. It is naturally occurring and non-toxic, comprising: non-pathogenic bacterial cultures, biodegradable surfactant, biodegradable solvent, opacifier and fragrance. All GV Health packs and kits meet the highest standards for cleaning, hygiene and infection prevention specified by the World Health Organisation, the UK Health and Safety Executive and Department of Health.